The Book of Joel is a short account of the punishments that can be brought against those who do not have faith in God, and the benefits that can be given to those that do. This is a topic suggestion on Books of the Bible: Joel from Paper Masters. Use this topic or order a custom research paper, written exactly how you need it to be. In the Bible, the Book of Joel is a short account of the punishments that can be brought against those who do not have faith in God, and the benefits that can be given to those that do. The book itself is considered to be written by one of the minor prophets, because it is not as extensive as others in the Old Testament. This does not, however, mean that the content of the book is any less important. The message contained in the book is as essential to any true practitioner of the faith as the more prophetic writings, for it demonstrates the true foundation of Christianity and Judaism. The agricultural problems are, in turn, impacting everyone, farmers and merchants to the practices within the temple, as sacrifices cannot be made. In response to these hardships, a call is made to all individuals to dedicate themselves to the teachings of God, learning from their mistakes and finding themselves in good favor. Contingent upon this occurring, the book then describes several benefits of such a practice. The locusts will be removed; the drought will be lifted and agricultural production will begin again. While these symbols of God’s care and dedication are essential in the interim, the message continues to describe the long-term blessings and protections that He will bestow upon those that believe in Him. To reinforce the importance of this point, the book closes by explaining the trials and tribulations that God’s judgment will bring to nonbelievers, including the destruction of hedonistic and heathen societies. 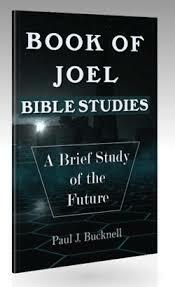 The Book of Joel provides a great deal of insight into what is likely to happen to the masses if they do not remedy their ways and alter their belief systems; though the prophetic messages conveyed are much more simplistic than in other books, the message is no less essential. The Bible and Homelessness Research Papers go into what the bibles perspective is on this subject. The Bible and Counseling Research Paper looks at a sample of how to order a compare/contrast research paper. Mystery of the Bible Research Papers review the film by A&E that discusses the nature of Bible as it relates to religion. Symbolism in the Bible - As one of the deepest and most profound pieces of literature, the Bible contains in its pages a number of critical symbols, taken from both the Old and New Testaments. Biblical Miracles and Modern Miracles Research Papers delve into two books of the bible that discuss this phenomenon of miracles and present research on it. Abraham - Religion research papers are required and one of the most frequently studied Biblical figures is Abraham. Biblical Matriarchs - Biblical Matriarch research papers discuss the change of female activity in the Old Testament of the Bible. Biblical Archeology - Biblical Archeology research papers examine the subset of archeology that seeks artifacts and information from ancient civilizations that illuminate the time and culture of when the Bible was written. Jesus Christ and Ethics - Jesus Christ and Ethics research papers report that throughout the New Testament, ethical codes that are overly concerned with proscribing specific actions are repeatedly scorned as being removed from genuine spirituality. 12 Tribes of Israel - 12 Tribes of Israel research papers examine the Israelites from the Old Testament that are said to be the 12 descendants of the Patriarch Jacob. New Testament Orientation - New Testament Orientation Research Papers delve into an order placed with particulars in resources and other requirements for the completion of the project. Kings and The Chronicles - King and The Chronicles Research Papers examine two books of the bible and how they overlap. Original Sin - Original Sin Research Papers delve into the Catholic definition of this term, and how it effects all the descendents of Adam and Eve. Baptism research paper looks at the role of baptism in the Jewish and Christian faiths. Study of a Passage from the Book of Mark - Study of a Passage from the Book of Mark research papers discuss different aspects of the book of Mark from the Bible such as the limits, authorship, and historical time frame. Baptism and Circumcision - Baptism and Circumcision research papers compare the two sacraments in light of Reformed Theology. What is Sin - What Is Sin research papers examine the size of sin and what different societies consider sin. The Twelve Apostles of Jesus - Twelve Apostles of Jesus were the men whom Jesus chose to be His companions and students during life and to carry His message into the world after His death. The Gospels research papers report that the Gospels are the teachings of Jesus Christ and the history of his life. Jesus' Public Ministry research papers tell the history of Jesus Christ and his teachings according to the Gospels. The History of Jesus - History of Jesus research papers discuss the complex history of Jesus' existence. Jesus Teacher - Jesus the Teacher research papers overview the teachings of Jesus according to the Gospels. Christian Church - Christian Church research papers explore the history and beliefs of Christianity. Sacrifice and the Death of Christ - Sacrifice and the Death of Christ Research Papers delve into an order placed for a religion research paper with specific format instructions and source requirements. The Second Coming of Christ is a widely and differentially interpreted topic, but essentially refers to the return of Jesus Christ to earth. Paper Masters writes custom research papers on The Book of Joel and explain the short account of the punishments that can be brought against those who do not have faith in God, and the benefits that can be given to those that do.